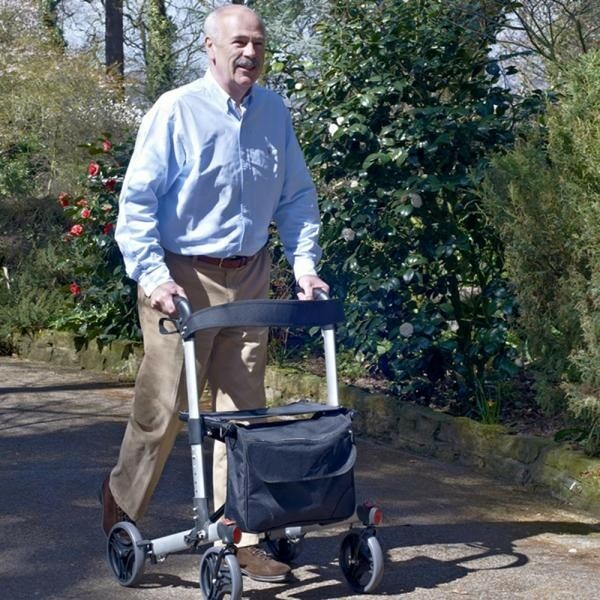 Ideal when travelling in car or public transport - Provides extra support, seat, storage for carrying items and easy manoeuvrability for people when walking indoors and outdoors. 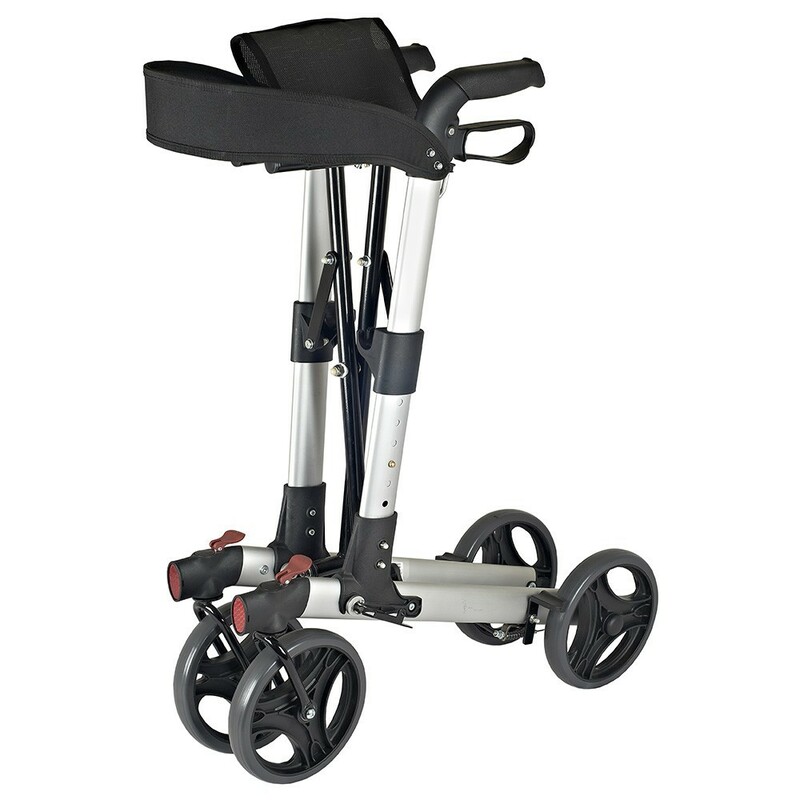 Innovative height adjustable lightweight rollator has a unique instant foldaway frame - simply pull the handle on the comfortable mesh seat. The compact rollator folds down to a holdall size for ease of transportation and the patented quick release front wheels enable the frame to be stowed in the smallest of spaces. Its one touch brake system ensures that the brakes can be easily engaged allowing greater confidence for the user when resting. With 200mm (8") polyurethane wheels for added durability, this Rollator is ideal for indoor as well as outdoor use. The handles are height adjustable to suit a wide range of user needs. A mesh backrest is provided for added support and a detachable canvas shopping bag provides an added dimension of flexibility to this rollator, promoting greater independence for the user. Burgundy finish.